BiotrueONEday for Presbyopia brings together the benefits of its Hypergel material and a 3 zone multifocal design which means there is no compromise of optical clarity at any distance (near, intermediate or far) which fits in with the needs of the modern wearer whose near and mid vision needs are increased through the use of smartphones and tablet computers. 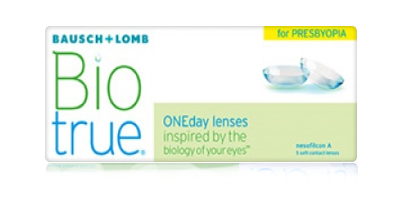 Bausch and Lombs unique Hypergel material works like the eye's own tears to help retain the same moisture level as the eye, allowing for a comfortable wearing experience throughout the day. 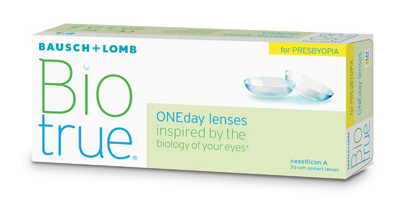 BiotrueONEday for Presbyopia also helps block UV helping to prevent age related eye conditions and is breathable offering wearers a great quality lens for healthy and bright eyes. 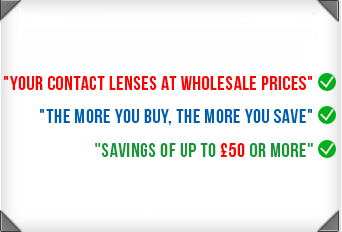 So if you're looking for multifocal contact lenses for Presbyopia then this could be a perfect option.